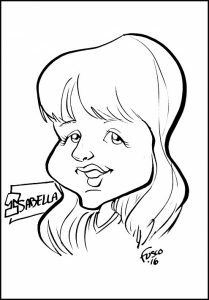 BLOG: The latest works of Christine Fusco, NJ-based caricature artist. This sweet little girl was so cute and had so much character. 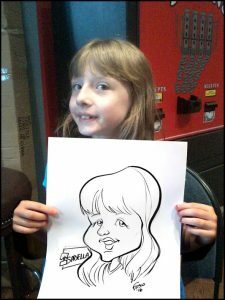 B&W headshot SNAPsketch caricature. All rights reserved.